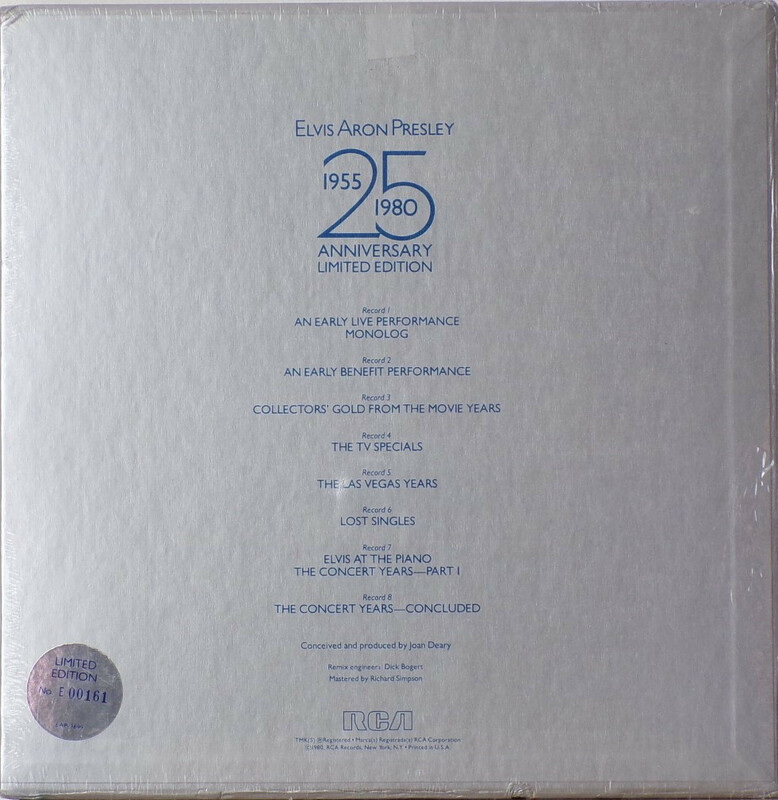 Elvis Aron Presley 25th Anniversary Edition Silver Box Set (A Numbered Collectible) This is an 8 LP box set. 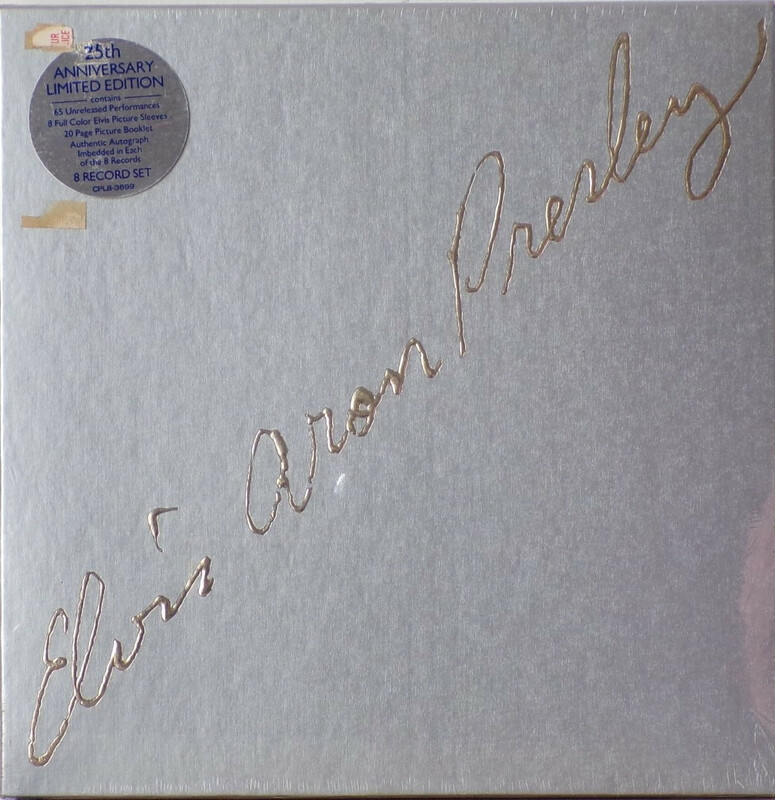 These recordings have been digitally remastered. It contains 65 unreleased performances. Elvis' authentic signature is on each of the 8 records in the wax trail off area. The 8 records come in coloured picture sleeves. There is also a booklet enclosed. Front Cover : Title at angle. Catalogue on hype sticker. Rear Cover : Song titles. Label : All record labels are silver with rainbow. Sides A & B all records are listed 1A & 1B through to 8A & 8B.